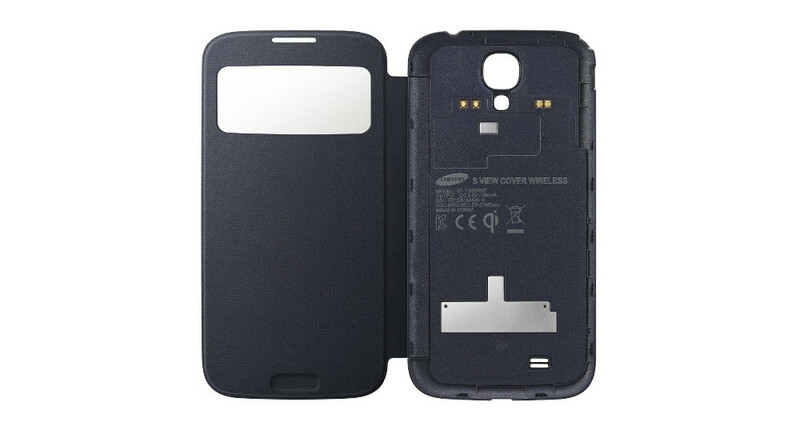 The Samsung Galaxy S4 is joining in the S-View Flip Cover with wireless charging party this week, only a month or so after the Galaxy Note 3 received the Qi-compatible accessory. This is your standard S-View Flip Cover, but Samsung went ahead and turned the attached backplate into a wireless charging plate that up until now, as eluded the S-View race. In other words, this product is no different than the S-View Flip Cover you might already own, other than the fact that when attached and set atop a wireless charger, it will wirelessly charge your device. We took a look at the Note 3’s cover yesterday in a quick hands-on clip. Overall, I’d say that the Note 3’s cover is quite polished and high-quality, but it also comes at a steep $70 price. With the Galaxy S4 cover, it doesn’t exactly appear to be anything extraordinary in the style or quality department, and runs $55 right now through Amazon. The cover comes in both black and white.